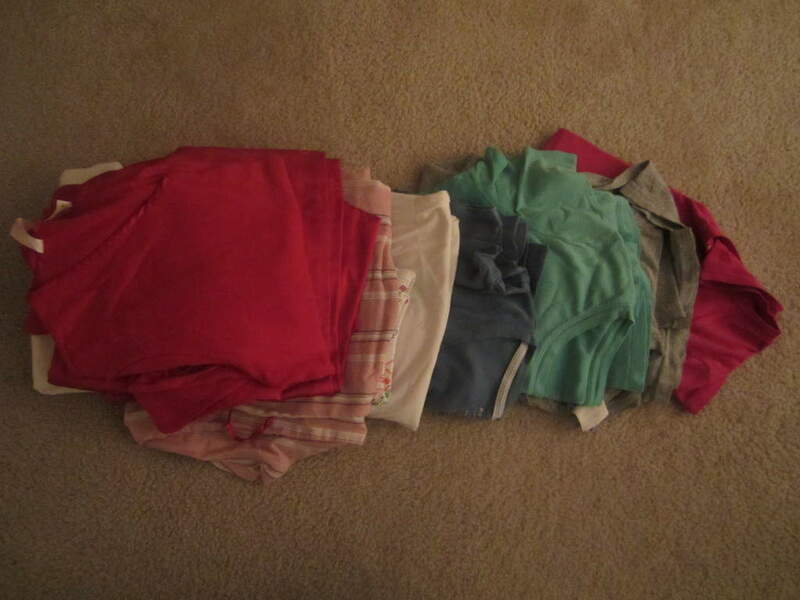 I found several old shirts that were either torn, stained or just plain worn out, plus a few pairs of pajamas that don’t fit (one is too big, the other too small). Did you do any clutter busting today? We worked again on my daughter ‘s closet. She had a few boxes on the top shelf. I though they had something important in them and that’s why we kept them. Well it turns out that they were empty. I can’t believe we had kept those boxes that long. Great job on your clutter busting today! Doesn’t it feel great to clear out the clutter? It sure does Shelly! I’m glad that I don’t have to stuff clothing into my overloaded dresser drawers anymore. I tend to keep things long past their prime.